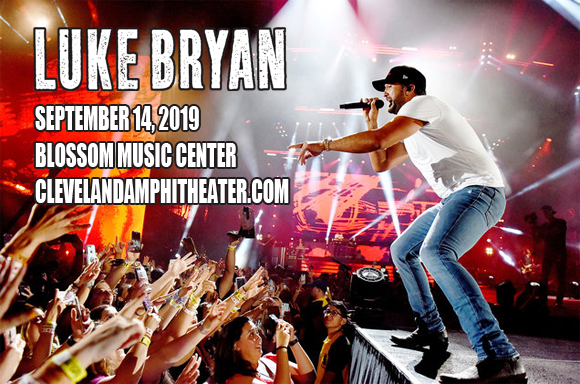 A powerhouse of country music, Luke Bryan comes to Blossom Music Center on Saturday 14th September 2019 on his Sunset Repeat Tour! Named after a line from the song "Sunrise, Sunburn, Sunset," on his most recent album What Makes You Country (2017), the tour sees the stadium tour king bringing a taste of the summer to the stage! He'll be joined by Cole Swindell & Jon Langston in support! Having begun his music career working for a Nashville publishing house, writing songs for a variety of country artists, including Travis Tritt ("Honky-Tonk History") and Billy Currington ("Good Directions"), Luke Bryan is now an award-winning country superstar in his own right. Signed to Capitol Nashville in 2007, Bryan was an instant hit with his debut album I'll Stay Me (2007), which reached number two on the Billboard Top Country Albums Chart. Bryan has since has a further number-two album on the chart, as well as four number-ones, and three of his albums have reached number-one on the Billboard 200. He was won a multitude of awards to date, including nine American Country Awards in 2012 alone, and he has been the recipient of both the Academy of Country Music Awards and Country Music Association Awards "Entertainer of the Year" award – the latter he has won twice. He has released six studio albums to date, his most recent being 2017's What Makes You Country.